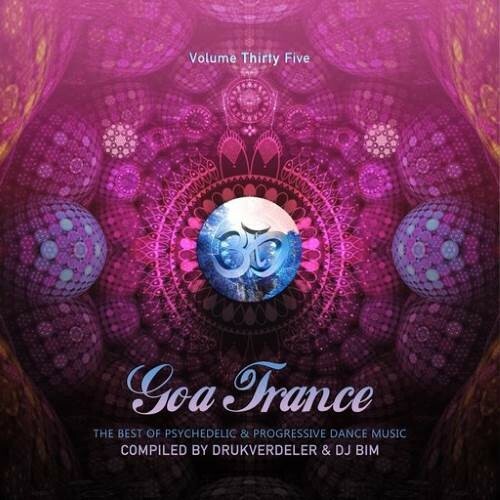 The Goa Trance Series goes in the 35th round and this time, it is a fantastic collaboration between Yellow Sunshine Explosion DJ Bim and his Live Set Partner and Y.S.E producer Drukverdeler. Goa Trance Vol. 35 is like every time an outstanding journey into the world of progressive and psychedelic Goa Trance the ultimate soundtrack for the late golden summer 2017. This release contains music in the modern psychedelic and progressive trance genre, with emphasis on groovy, powerful, uplifting and massive tracks, forming cutting edge musical journeys, and massive tools for DJs. Enjoy 150 minutes of the finest 'hands in the air' Trance Music from some of the most respected Producers of this Planet like Killerwatts and Outsiders, Magik and Waio, Sonic Species and Volcano, Spirit Architect, Koi Boi, Ital and Starlab, Maitika and Tronsho, Tristate, Champa, Genesia, Yestermorrow, One Function Divination, Impact, Atacama, Kristallklar, Mind Sense and Serenity Flux, Orisma. Enjoy this new release from Y.S.E.